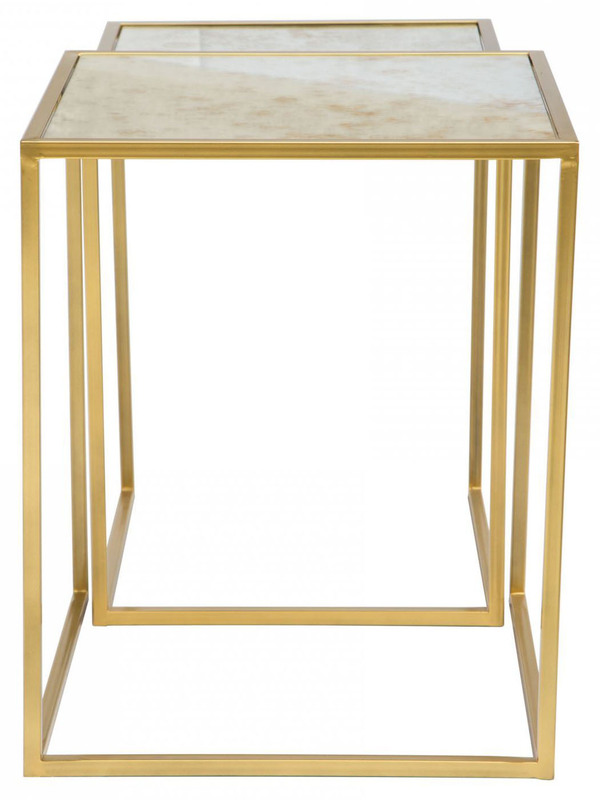 Calais Nesting Tables Brass is minimalist in design and features a handmade artisan finish. 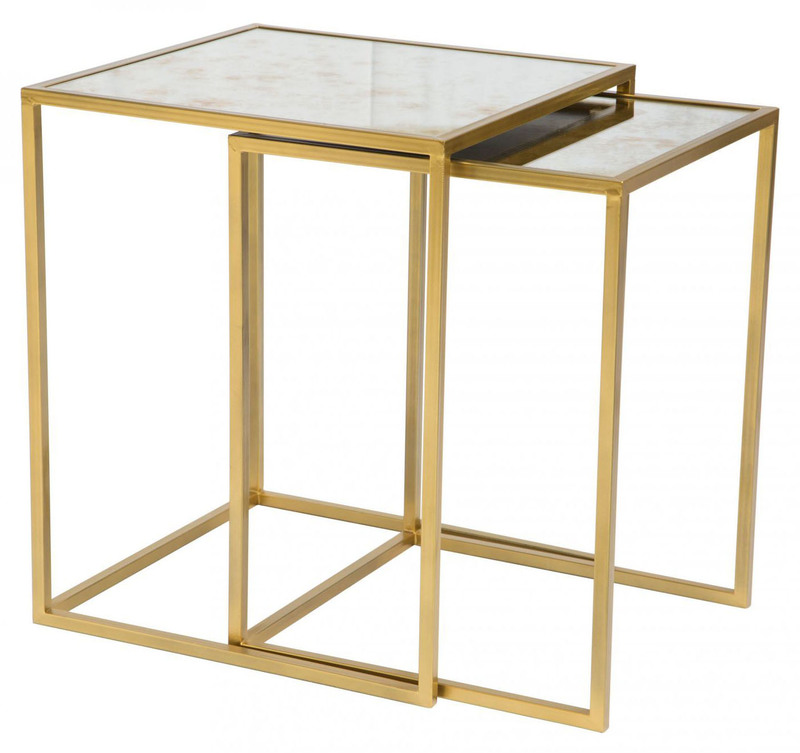 The slim square base is made using powder coated steel, finished in antique brass. 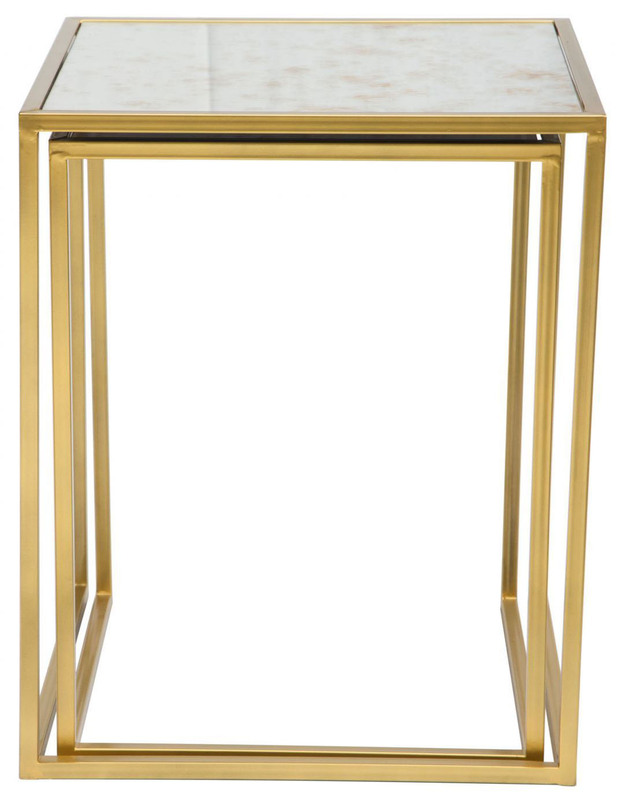 A top the nesting tables are antique style mirrors, which give the table a vintage inspired look. 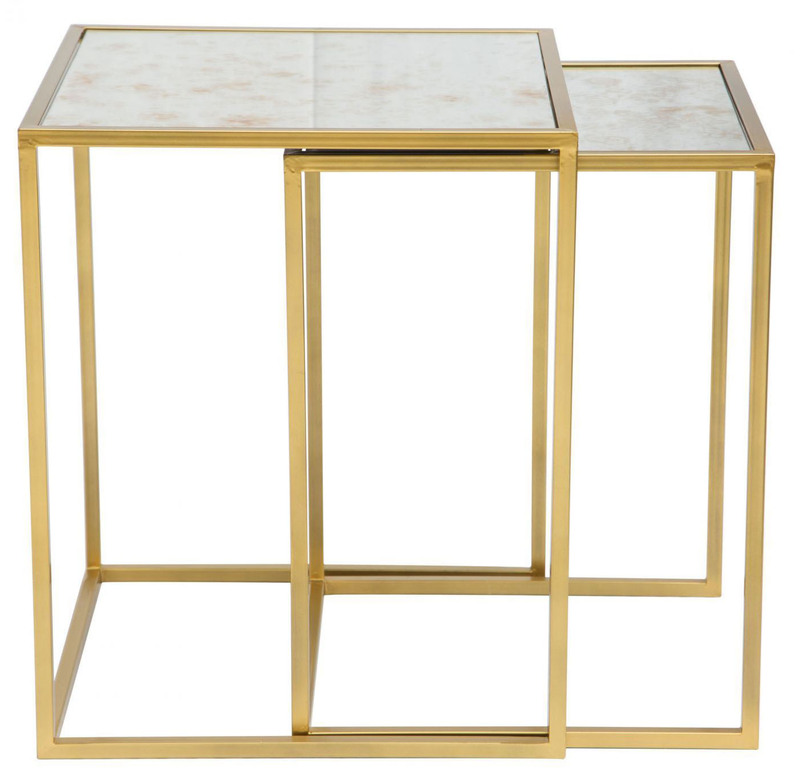 Calais Nesting Tables can also be used individually.